"Bartolini pickups are the best pickups I have ever had. It has a great sustain and delivers amazing and incredible tone. They are reliable and versatile for any genre of music that I play." MTD Kingston ZX5, MTDAG6 with Bartolini Soap bar pickups. 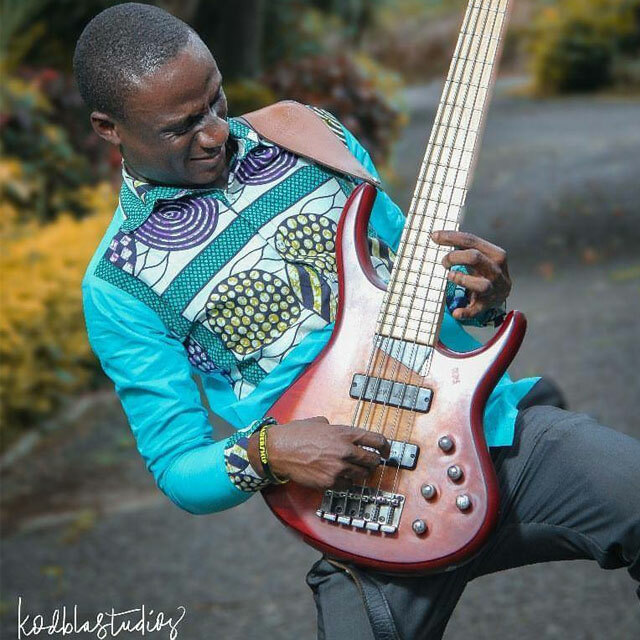 Richmond Danquah is a versatile musician who started playing bass guitar at the age of 18. With hard work, dedication, and persistence in his practice, he has grown to become an exciting and renowned bassist. He initially started as a drummer at the age of 16 and learned how to play the keyboard as well but picked up the bass guitar a few years later. Richmond is currently endorsed as an International Artist for MTD guitars. He has recorded on some gospel albums and has done gigs with Minister Bibi Adu-Poku, Eugene Zuta, Kofi Owoahene, The Levite Fletcher Narh from USA and other gospel musicians. Richmond is the CEO of RDBassConsultZ, a music consultancy that offers bass tutorials online and organizes workshops (BASSCONNECT) aimed at developing the capacity of bassists and musicians in general. He travels to share his bass knowledge when invited to clinics as well. He attributes his success to God, without Him I would not have come this far.